Our collection of games like Animal Jam has the very best free massively multiplayer online virtual worlds for tweens and up to explore. 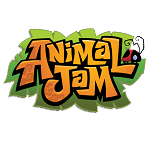 Animal Jam started in 2010 and is one of the most popular online games currently available for children. The game already boasts a population of players well into the millions and continues to grow every single day. The game is the perfect place for young children to learn and meet others in a safe online environment. In Animal Jam players explore the wonderful world of Jamaa which is filled with different environments, mysteries, games, facts, shops and much more. The game also lets players heavily customise their animal avatar, own a den and even adopt a virtual pet. The games like Animal Jam here offer very similar gameplay to Animal Jam. In the games below you’ll be able to customise your own avatar, explore huge virtual worlds, play games and chat with other players from around the world. The possibilities in these massively multiplayer online games for children are endless and they all have their own game theme.